New York (AFP) - Boeing must perform more work on a proposed fix to its 737 MAX aircraft before it can be submitted for review, US officials said Monday, suggesting the planes could stay grounded a while longer. A Boeing spokesman said Monday the company was continuing to work with regulators to address concerns. "We are working to demonstrate that we have identified and appropriately addressed all certification requirements and will be submitting for FAA review once completed in the coming weeks," the Boeing spokesman said. "Safety is our first priority and we will take a thorough and methodical approach to the development and testing of the update to ensure we take the time to get it right." 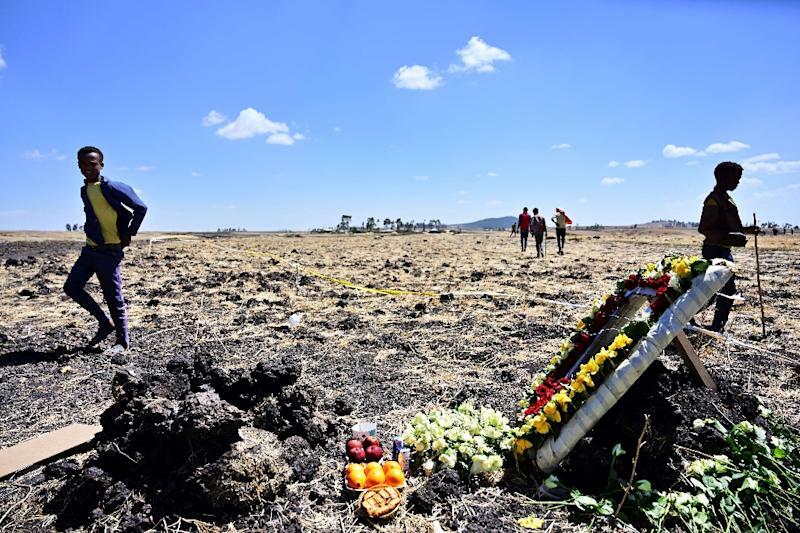 Earlier Monday, Ethiopian foreign ministry spokesman Nebiat Getachew had said his country's transport ministry would release "a preliminary report into its investigation" of the March 10 accident in which a Nairobi-bound Boeing 737 MAX crashed shortly after taking off from Addis Ababa. Nebiat initially said the report would be released Monday but the transport ministry, which is in charge of investigations, later said this would take several days.